MOSCOW, September 1. /TASS/. Clashes in front of the building of the Verkhovna Rada, Ukraine’s parliament, on August 31 show that Ukrainian President Petro Poroshenko is unable to establish peace in the country, ex-Ukrainian Prime Minister Nikolai Azarov said on Facebook on Tuesday. "The Ukraine salvation committee is addressing all those not indifferent! 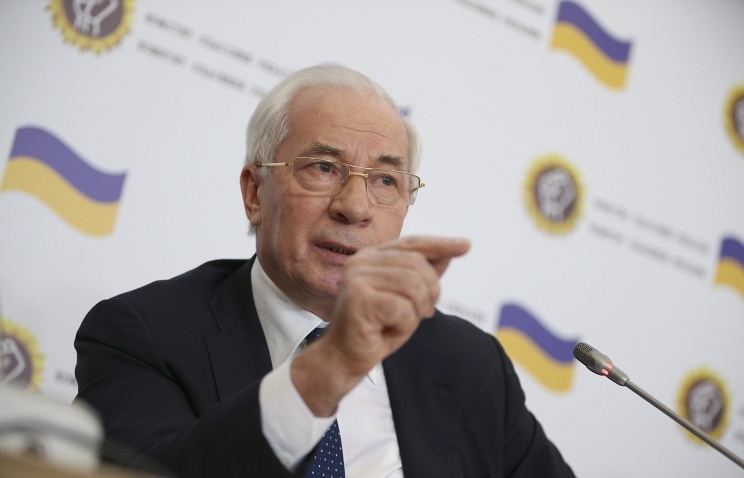 By the example of events in Mukachevo and Kiev it is clear that Poroshenko and company are unable to establish peace and order in the country," Azarov said. "Citizens should change these authorities for the sake of the future of Ukraine and their children. If it is not done today, then tomorrow, along with poverty and theft, the country will have all-out banditry encouraged by the totalitarian power of Poroshenko and company," the statement said. Azarov said constitutional amendments suggested by Poroshenko "have nothing to do with the real reform of the central power system in Ukraine". "It’s a simulation of decentralization, an attempt to reinforce the President’s powers even more. These amendments will not make Ukraine closer to peace. Neither will they contribute to the strengthening of local self-government. Besides, they directly contradict the Minsk Agreements," he said. The Verkhovna Rada on August 31 adopted in the first reading amendments to Ukraine’s Constitution regarding decentralization. During the vote, over 3,000 opponents of these amendments to the fundamental law of the country picketed the parliament’s building. During the demonstration, protesters clashed with police, and one of them threw a grenade in the direction of law enforcement officers. As a result of the clashes, 141 people were injured, and three fighters of the National Guard were killed.